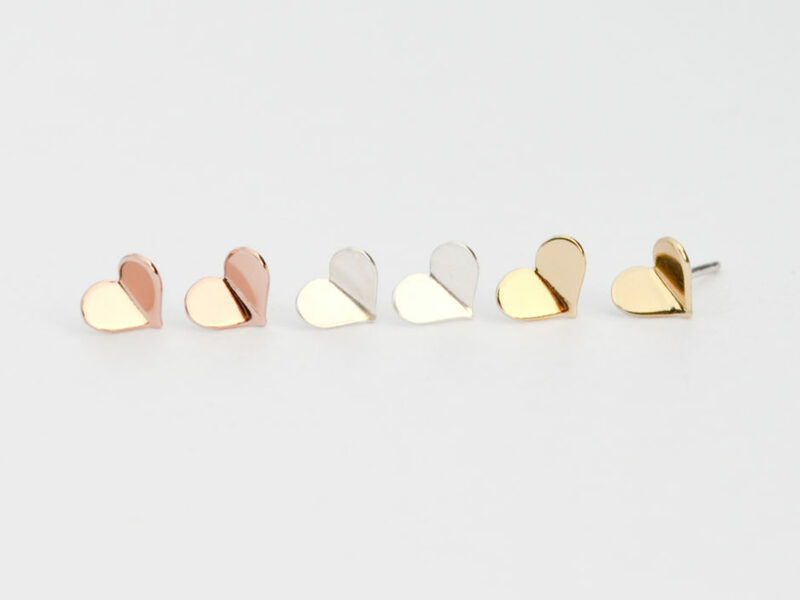 Tiny lightweight gold heart stud earrings with a little fold to give them depth. We make these earrings with solid .925 sterling silver and then plate them in 14k gold. *Our hearts measure approximately 1/4″ (6.5mm) x just under 1/4″ (6mm). *The backs and posts are solid sterling silver! *Great as second hole earring too. This listing is for the gold version!